From year to year, this statement becomes more real, especially on the Web (where the all modern magic usually happens). We can watch different online stores and blogging platforms putting up Valentine’s decorations to enlarge their audience. That’s why it’s essential to pay attention to every detail of your website. As the stats says that 38% of people leave an unattractive page. So, what about you? Wouldn’t you like to remind your website followers about a time to celebrate love, peace, and the upcoming spring? 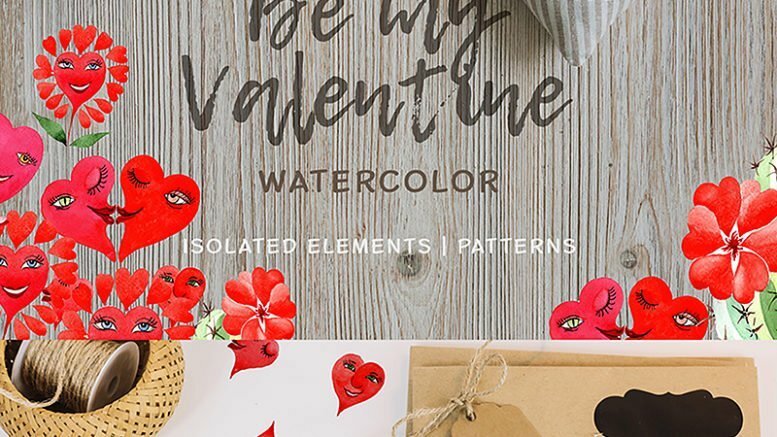 Then grab these top-notch Valentine Themes, catchy illustrations, modern logos, and fonts. 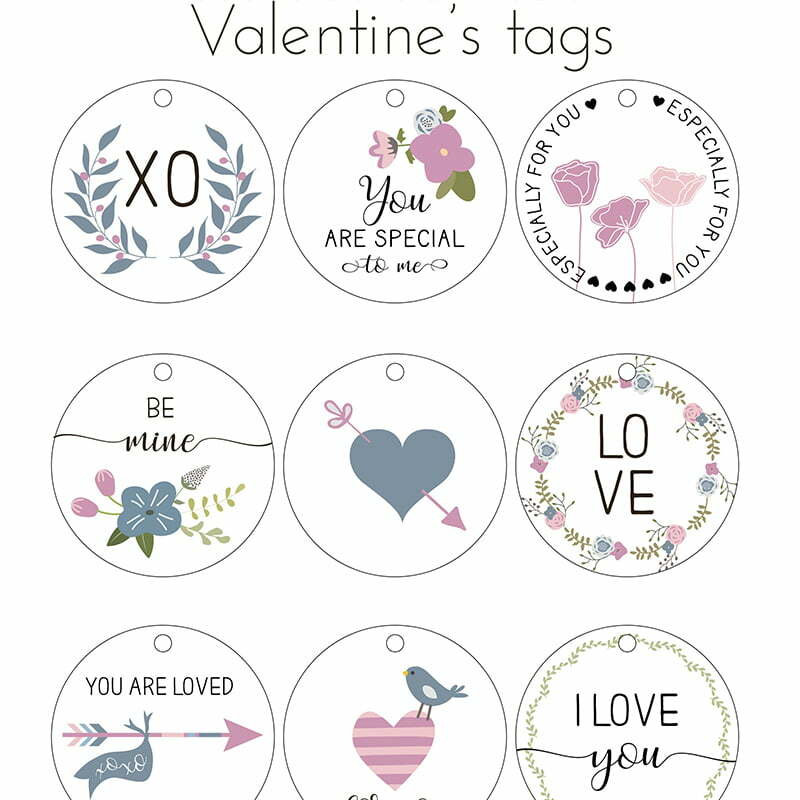 Each of these elements is designed to awake a special Valentine’s Day mood. 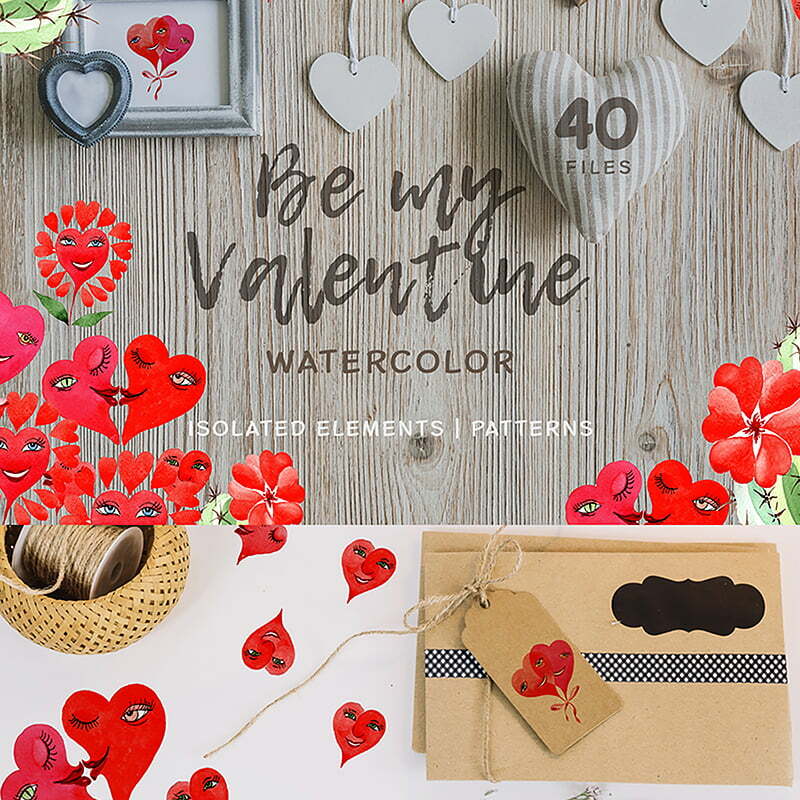 Plus, you won’t need to collaborate with web designers and coders to refresh your website or create lovely online valentines. Here you will find purposeful layouts for both, corporate and blogging web sources. They will also help you to make an exceptional design up to Valentine’s Day. Let’s start! More smiling hearts and bright flowers for Valentine’s Day! Don’t miss these beauties to create any design that you need. These watercolor illustrations can enhance any of your ideas. They also can be used printed. Any of possible size or color changes are up to you. Sumptuous peonies are perfect for romantic spring-like atmosphere, even though these are not real. 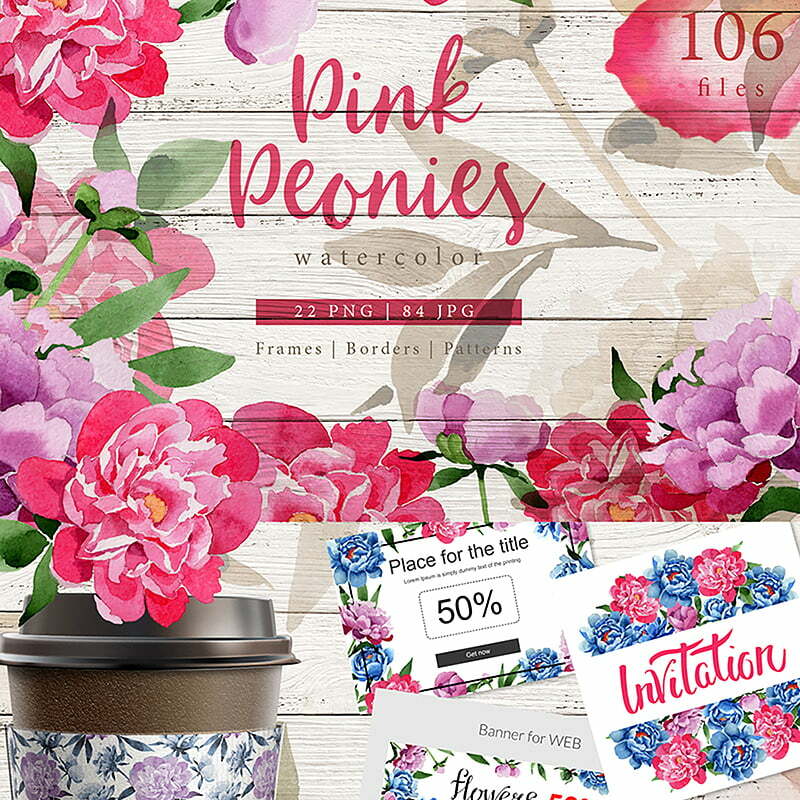 Use these marvellous flowers to decorate your website or to create ecards and invitations. Each of their elements is carefully designed in eye-pleasing colors. All these graphics are ready-to-use and go without background. Get ready your flower shop for the spring season and upcoming Valentine’s Day promoting it online. 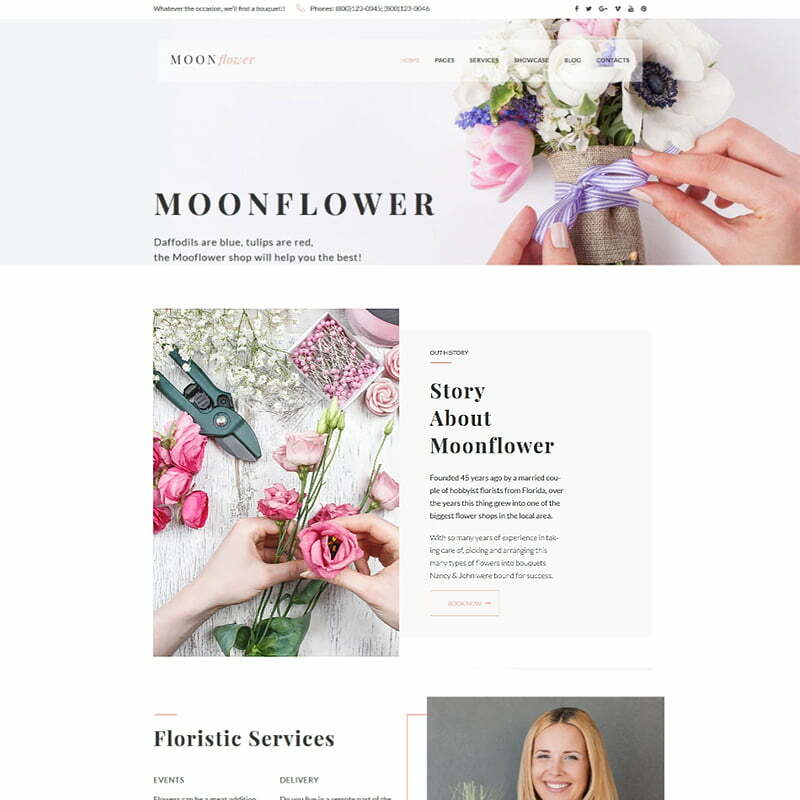 Moon Flower is the only thing you need to make a powerful online store by yourself. This theme is based on one of the most user-friendly software. It’s WordPress! Moreover, choosing this layout you’ll save your time, as it’s already trendy designed, mobile- and SEO-optimized. Just check it! 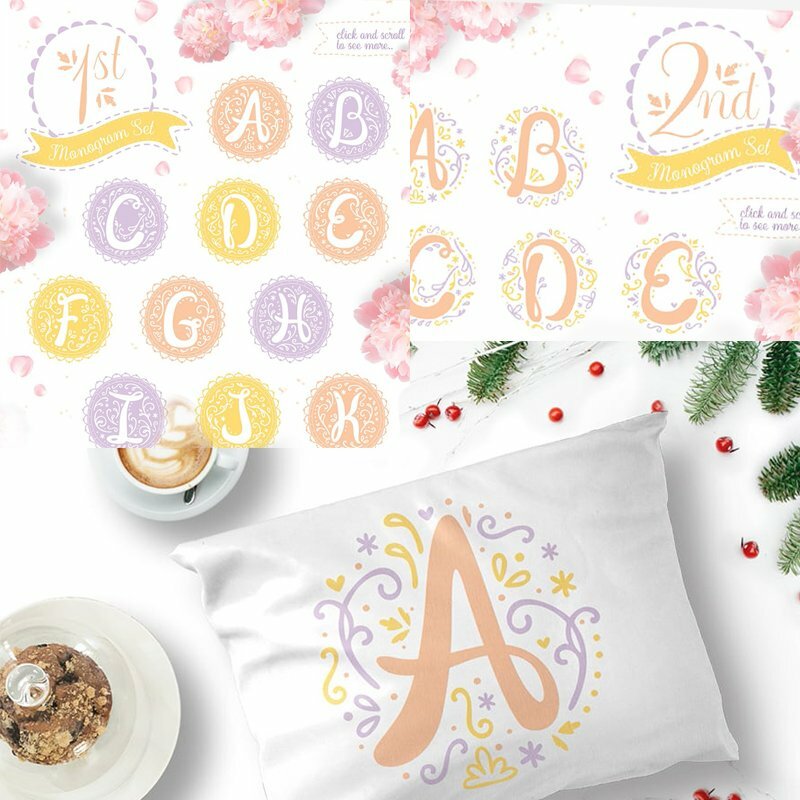 Catch these beautiful monograms in vanilla tones! Hurry up, as this proposition is supplied with a bonus. The usage of these illustrations has no limits. They can suit your invitations and greeting cards. You can also include them to your own logo. Refresh your blog style as the spring refreshes nature. 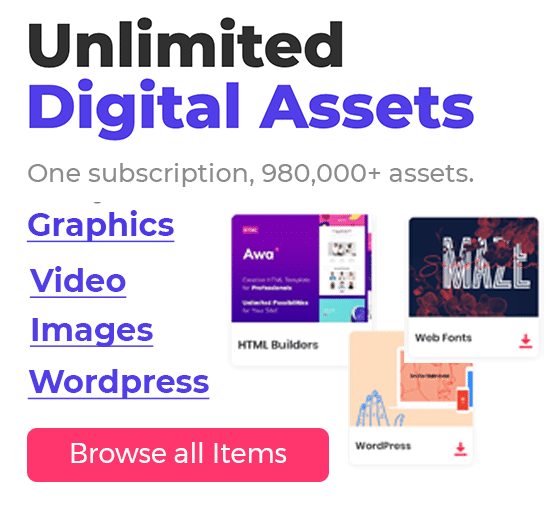 With this WordPress theme, you can manage it easily. 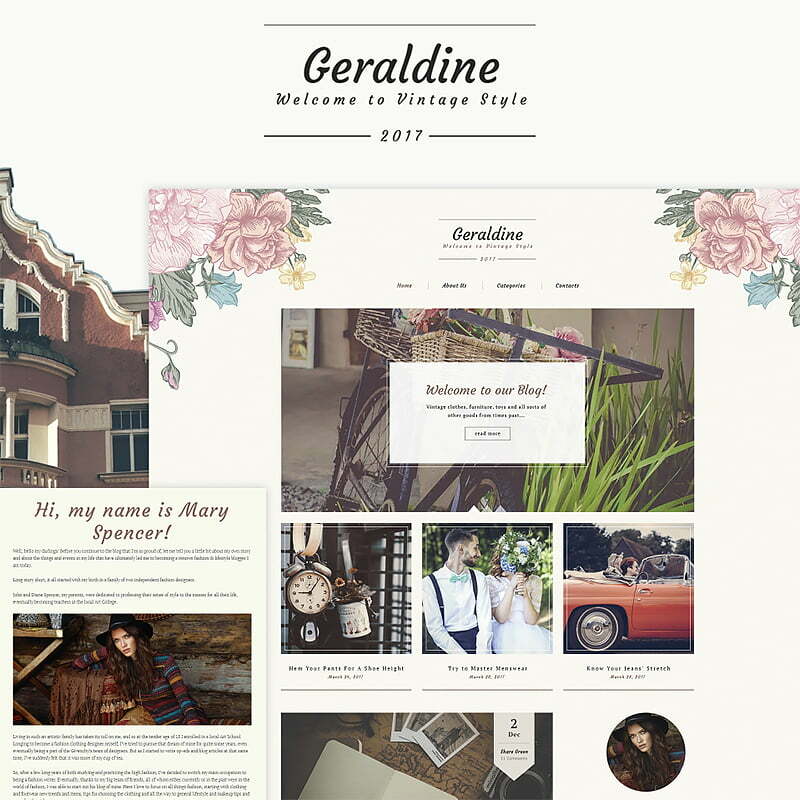 Geraldine is fashion-oriented but will fit any of your ideas because of its classy design. This mock-up is fully responsive and won’t make you troubles. Moreover, Geraldine is eCommerce-ready! Are you ready for Valentine’s Day? If no, you still have some time (no jokes)! 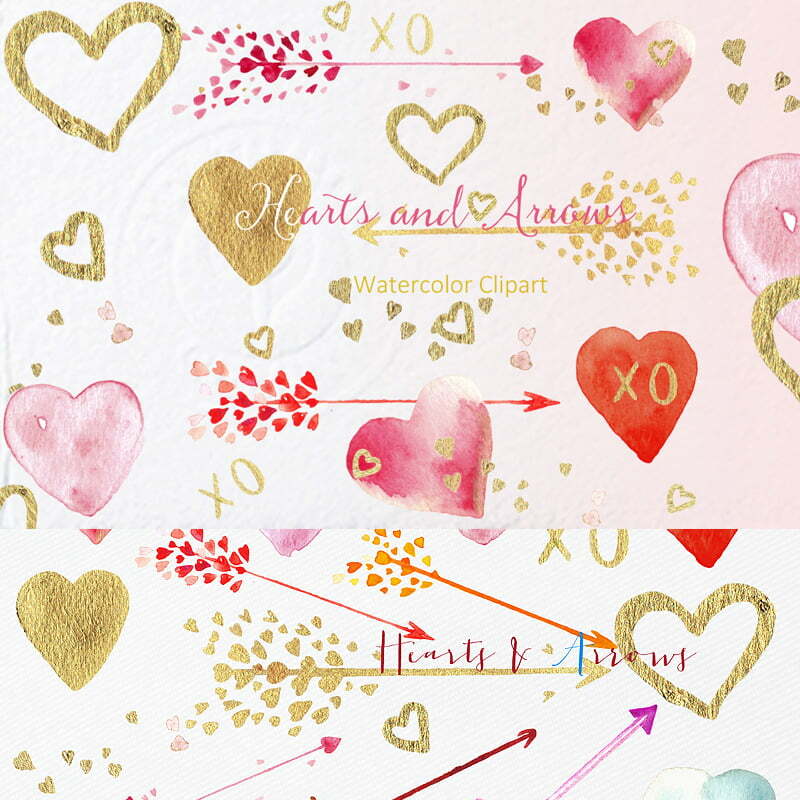 Because due to these nice shiny and warm hearts and arrows clipart, you can create any design very quickly. Add them to your e-mails or blog posts. Also make your own valentines (just opening these illustrations in Photoshop, for example) and print them to decorate your room or office. Everything is right up to you! This set of the best typography variety (10 000!) will serve you many times and always! 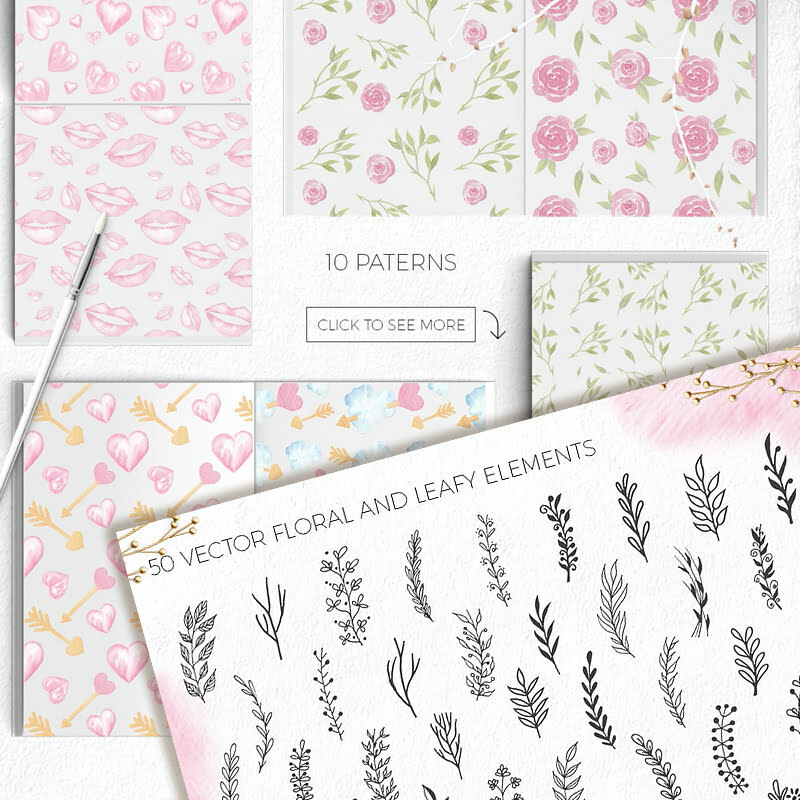 Here you will find different designs and colors to meet any of your projects. Some of these logos and frames are modern and clean, others are romantic and sweet. 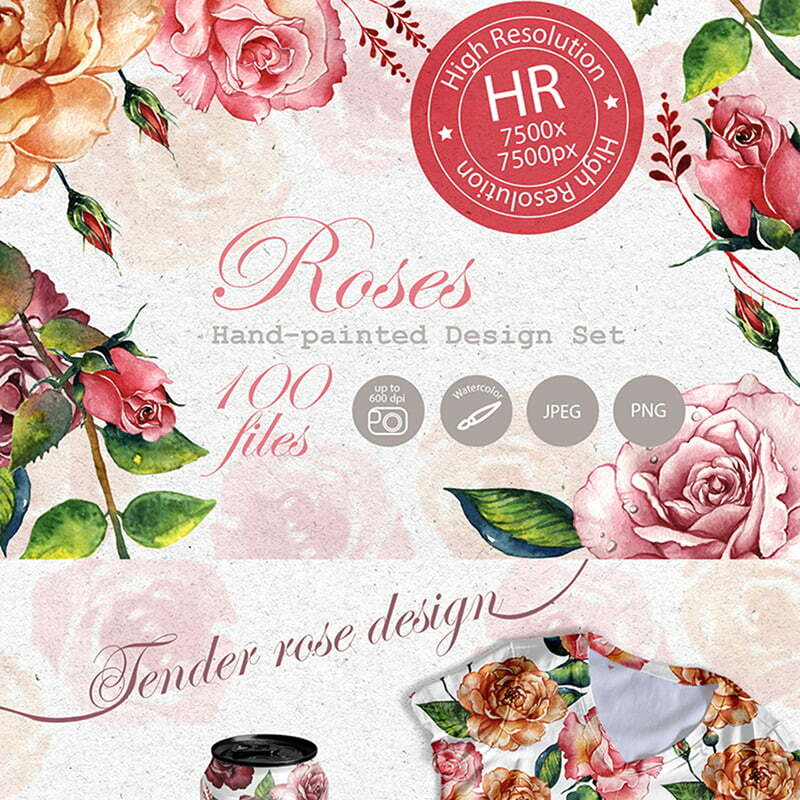 Anyway, each of them is highly-detailed and will look stunning on your web design, T-shirts or even a mug. Of course, everyone knows how it’s easy to use ready-made watercolor graphics (or at least forms a pretty good idea)! So, it’s time for you to try them! Create your own designs, greeting cards, decorate your photos and surprise everyone on Instagram! There is everything in this proposition to meet your tastes. 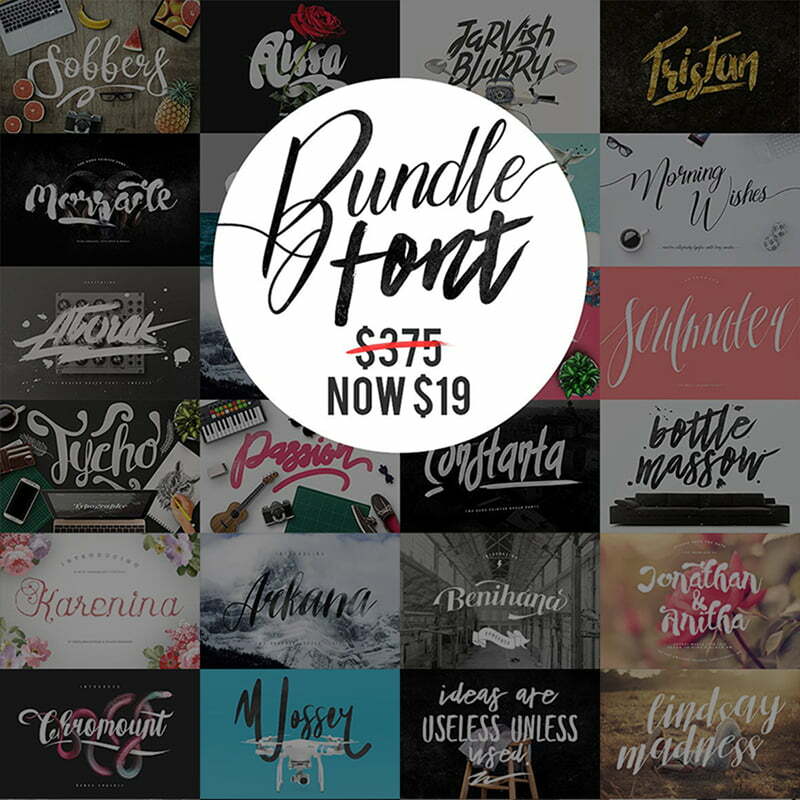 Style your headers and photos with these cool fonts! There are varied types of them. You’ll also enjoy countless glyphs and bonus graphics. This proposition is worthy of the attention of professional designers/ web designers, bloggers and all creative folks. Don’t miss it! 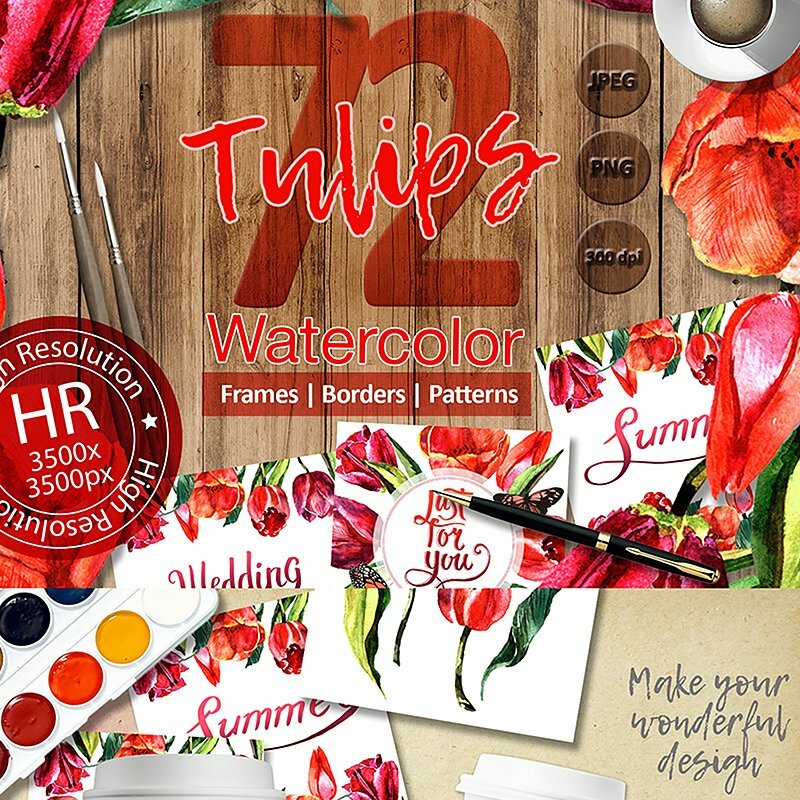 Cheerful tulips are hurrying to help you with your creative ideas. They are highly-detailed and easy-customizable. You can print them or use as a part of your digital project. Try out them! Tender petals, sharp thorns. That’s all about wildly-admired roses! These watercolor royals are created to be one you use the most often. They are easy for newbies, as each of their details is carefully designed. Here is a special present for you before the upcoming Valentine’s Day! All these cute illustrations are FREE. Grab them! It doesn’t matter if you are going to celebrate Saint Valentine’s Day. Anyway, it’s apropos to give a bit of attention to your partners, customers or subscribers. So, hurry up to create an atmosphere that will increase your website chances on the Web. As a completion, I hope this Valentine’s roundup will feet any of your creative ideas and assist you not only on Valentine’s Day eve but many times after. Don’t forget to share it!